where a>0 and c\ge 0. 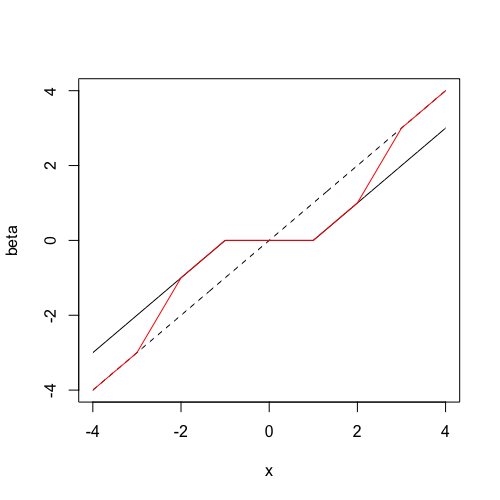 Perform an inverse probability weighting to (unbiasedly) estimate the total T=\sum X_i. The dotted line is the y=x line. The line in black represents soft-thresholding (LASSO estimates) while the line in red represents the SCAD estimates. The leverage of data point i is the i-th diagonal entry of the hat matrix. We can draw sample X\sim F conditional on X\ge t.